Makes data-driven decisions to move the organization towards its goals and into the future. A native of Washington DC, Lisa recently relocated to the Northeast after 20 years in Tennessee. 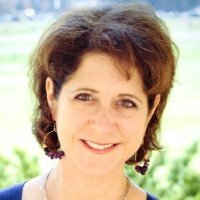 Lisa’s senior leadership experience includes SVP for Seedco, a national workforce and community development nonprofit. During her tenure with Seedco, she provided oversight for the $18 million Mid-south office. She had responsibility for the 45 person staff, managing multi-million dollar workforce contracts, the design and implementation of the ACA Navigator statewide initiative and asset-building programs, ensuring performance excellence. Prior to joining Seedco, Lisa served as the vice president for Nashville’s Center for Nonprofit Management. In this role, she assisted in the daily management of the organization and managed the daily operation of the consulting bench, making the match between nonprofits and consultants to meet their unique needs. She also provided consulting services to CNM member nonprofit and government agency clients with a focus on strategic planning, board development, performance planning and the development of strategic alliances. The major focus of her work over time has been in removing barriers to independence for high-risk job seekers, decreasing their reliance on government programs. One example of this is as Director of Community Services, overseeing the workforce programs for the poor at the Nashville Career Advancement Center for nearly 10 years. Lisa has served on numerous workforce, social service, and education boards in Tennessee. Positions have included board member of the YWCA—Nashville, president of the Nashville Women’s Political Caucus and Hands On Nashville, and chairwoman of the Middle Tennessee Workforce Investment Board Youth Council. Among her honors are the “best of” award from the Nashville Scene (2001) for her work with Metro Government, Social Worker of the Year (2007) awarded by the Tennessee Chapter of the National Association of Social Workers and a Woman of Influence (2009) designated by the Nashville Business Journal. She is also a graduate of Leadership Nashville and Leadership Memphis. Lisa holds a master’s degree in social work from the University of Tennessee—Nashville College of Social Work, with a focus in management and community practice, and a bachelor’s degree from Syracuse University. I consider myself fortunate to found your blog through blogging U daily post. Though, I have not gone through your entire blog, but just going through your”About” page;I couldn’t resist myself to leave a comment a comment your blog. There are three specific reasons which compels me to write to you……..
First, despite of having this much professional experience from bottom of your heart you seems very down to earth person and inbuilt feeling of helping, uplifting someone. Second, since new year is about to begin, I pray to God, that he give you all the necessary help, courage to continue your work. Like you, I too enrolled for blogging U course; so, my all the best wishes are with you.